We’re thrilled to announce that musicians at any skill level, from those just plucking their first notes to virtuosos, will now be able to borrow the tools of the craft from the Parkway Central Library Music Department. 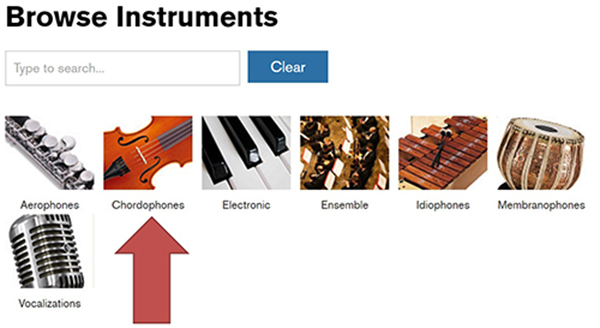 Starting September 26, the Musical Instrument Collection (MIC) launches. You’ll be able to check out six fretted string instruments in our pilot program: an electric guitar, electric bass, acoustic-electric guitar, mandolin, banjo, and ukulele. Each instrument has a kit that includes a gig bag, tuner, strap, and small amps and cables for the electrics. You’ll even get a few repurposed Free Library card guitar picks to keep. We know Philadelphia’s one of the most passionate cities of music on Earth (Saturn too), and studies show playing a musical instrument can improve mood, school performance, and quality of life. Having to buy an instrument is just one hurdle toward learning to play, joining the city’s music ranks, and engaging with our booming cultural community. This is where libraries—institutions boasting equal access to all, regardless of whether one can pay money—come in. Can I check out an instrument? If you’re a Free Library cardholder in good standing—you can have some fines but your account can't be blocked—you can take home an instrument after September 26. In the interest of expanding access to all, the MIC is open to borrowers under 18, provided a parent or guardian is present and the patron in good standing. 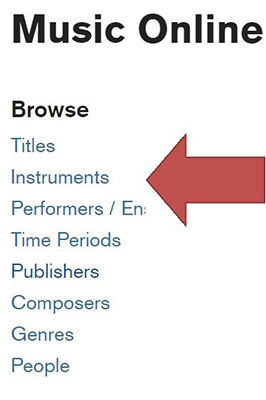 The instruments are being added to the Library’s catalog as we speak, and once they are, you may reserve by contacting the address listed on the catalog record. Once we’ve written to say your instrument is ready, visit the Music Department and sign a Lending Agreement with a music librarian. To return the instrument, simply walk it back into the Music Department. A librarian will have you fill out a survey about your time with the instrument so we can gauge success on this pilot program. Can I place a hold in the catalog? Like other treasures in special collections in the Music Department, such as the Fleisher Collection of Orchestral Music and the Chamber Music collection, one can’t place a hold on these resources in the catalog. How long are loans? Can we renew? And can we check out multiple instruments? Loans are for a standard three weeks. Since this is pilot program, we want to make sure everyone gets a chance to use these resources, so there will be no renewals and a one-at-a-time instrument limit, at least in this initial phase. The collection will, for now, be housed in the Parkway Central Music Department, which offers access to world-class music resources and expert music librarians who can steer any level of musician toward songbooks, recordings, and databases. This first round of instruments will be fretted strings: a mandolin, banjo, ukulele, electric bass, electric guitar, and acoustic electric guitar. Each instrument has a kit that comes with a gig bag to carry it in, a tuner, strap, and some picks recycled from Free Library cards to keep (while supplies last). The three electric guitars come with small practice amps musicians can choose to take. How do I tell folks about the MIC? We’d love to hear if you engaged with the Philadelphia cultural community around you—whether you practiced or read through music with friends, played in a public park or in a West Philly basement, or in any venue in our city. You’re welcome to post about your experience using the hashtag #FLPMIC. Yes! We’d love to expand the collection past fretted strings to include other instrument families, not to mention adding student-scale and left-handed instruments to make the collection as accessible as possible. If you’d like to help us along and have an instrument or instrument accessory in good condition you’d like to donate—an acoustic guitar sitting in your attic or a working guitar pedal you no longer use—thanks for thinking of us! You can use use the form below. Join us the day before lending begins for a unique musical moment in the library. 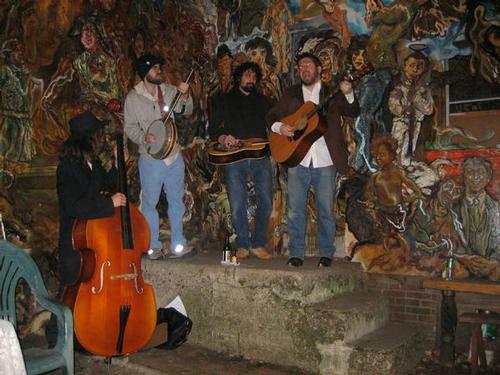 In a nod to the unique bluegrass instrumentation of the first round of instruments, Philly’s own Citywide Specials will be the very first ‘borrowers’ and will play a free pop-up concert in the Parkway Central Library’s Main Lobby. Before the Citywide Specials perform, you can enjoy a full music matineé Sunday and catch the dancers of Hip Hop Fundamentals at 2:00 p.m. in the Montgomery Auditorium as part of Sundays on Stage! Monday September 26, 10:00 a.m.–12:00 p.m.
Come learn about the MIC and jam on the first round of instruments before they’re checked out for loan across the city later that day—you may even meet a future band member. Absolute beginners guitar the complete picture guide to playing the guitar. Blues songs for beginners : play 8 songs with tab and sound-alike audio. Absolute beginners ukulele the complete step-by-step guide to playing the ukulele. 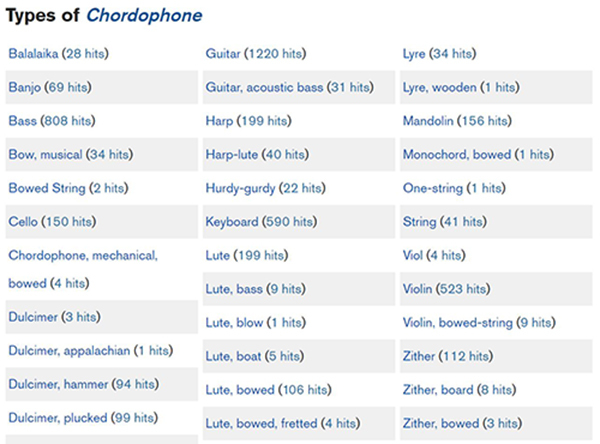 If you’re interested in hearing how some of these instruments sound when played by virtuosos, the Free Library makes four streaming music databases available to you for free. These music databases, offering higher quality than anything you can find on the general internet, often include PDF liner notes and let you narrow your search by not only instrument, but country, genre, time period, and more. You can access them all from our Databases page, and all you need is your library card number and your PIN. One of the best things about all of these is you can browse albums by instrument—so if you only want to hear, say, some banjo strumming or solo piano playing, you can. Then select from the list you see below. We've linked you directly to them as well. As a bonus, you can narrow your search by country, which allows you to hear, for instance, electric bass just in the context of Brazilian or African music. This tool is very useful for feeling out those the Reggae rhythms or Afro-Cuban grooves. For the opening of the Music Instrument Collection, the Free Library chose starter kits that contain everything one needs: amps for electric instruments, straps, and electronic tuners. We didnt want a guitar without a strap to hinder someone from standing at practice, or a tuner to keep someone from playing her favorite song. After that spark, music librarians had an information-gathering session in which we interviewed four institutions across North America that lend instruments. You can read these unedited liner notes, which went into building the first round of instruments. We hope this TL;DNR summation will help you if you’re a librarian looking into lending instruments for your library. 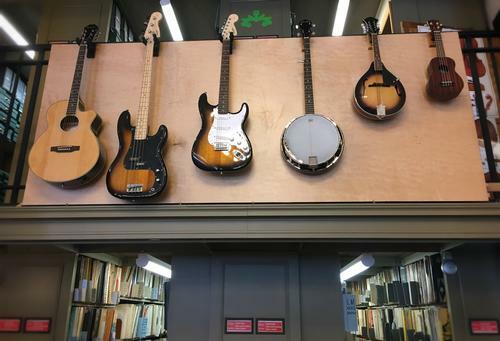 Your Free Library is expanding access (and axes) with the new Musical Instrument Collection. 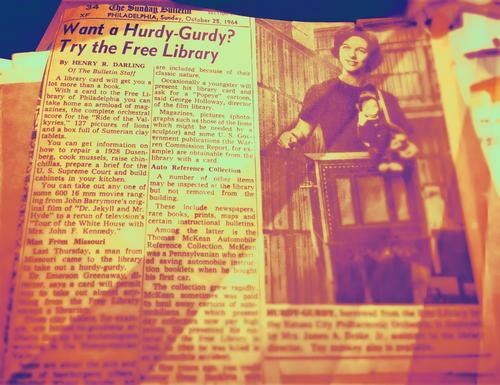 For more information on the MIC, visit freelibrary.org, or contact a music librarian at 215-686-5316 or erefmus@freelibrary.org. We’re starting the MIC with fretted strings (L-R): an acoustic-electric guitar, electric bass, electric guitar, mandolin, banjo, and ukulele. The City Wide Specials spirited bluegrass helps launch the MIC on Sunday, September 25 at 3:00 p.m. Thank you for sharing this in such detail. I hope you are able to get this program more and more visibility in the press, to inspire people and institutions (libraries, universities, high schools, and more) around the world. Please keep us posted on any future expansions of the program. Very interested to hear how successful it has been, both in lending out instruments and getting instrument donations from the public. Hello, I am wondering if I could be placed on your waiting list for when/if you receive a flamenco guitar? I would love to borrow one, so would like to pre-emptively reserve one. Hi Gabriela, we've added your request and e-mail to our Internal wish list. We'd love a flamenco guitar too! Always feel free to follow up with questions or more requests at erefmus (at) freelibrary (dot) org or here. Stay tuned! Will drums be added to the collection? I'm interested in donating some musical equipment. What is needed. Also, I'd like to see what is available to borrow. IAre the instruments available at the main library during regular hours? HI Stefanie, the collection's sustained by donations right now, so in the percussion family we have lovely xylophones a retired music teacher gifted to us. I'll follow up with you on e-mail, but feel free to contact erefmus (at) freelibrary.org in the meantime if you'd like to borrow. Hi Barry, donations are always welcome - please visiit tinyurl.com/flpmicdonate, and thanks for thinking of us. 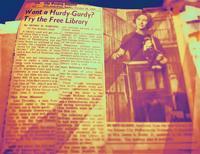 And yes, the MIC's open during the Parkway Central Library Music Department's regular library hours; stop on by!